BRANDYWINE, Md. – Between 40-50 percent of all marriages in the U.S. end in divorce, according to the National Survey of Family Growth. This alarming statistic is a big part of why Darren Smith decided to write his new book, How to Stay Married for at Least 100 Years. A close friend to Smith was near the point of divorce; he thought he had biblical support in the decision, due to a misunderstood passage. Smith enlightened his friend to the true meaning behind the passage and realized that there was a lot to be learned about marriage from biblical couples. "This book is my calling from God," says Smith. "My primary mission in life is to save every marriage that God puts in my path. I wrote this book intending to widen that path and save marriages beyond my immediate reach." How to Stay Married for at Least 100 Years addresses numerous issues: gender roles, parenting, having a non-Christian spouse, having children out of wedlock, providing the true definition of divorce, and many more. Darren Darrel Smith was a member of the U.S. Navy for 16 years and has worked as a government contractor, for the Department of Defense, for many years since. He has an MBA in business management and a master's degree in information systems, from Strayer University. Despite his business history, Smith's passion for God has led him to be deacon at the East of Bethel Christian Center. Scambook, the Internet's leading complaint resolution platform, is warning senior citizens on the trending phone scam capitalizing (on a) fraudulent Medicare. Scambook has received over 100 consumer complaints about one alleged benefits company that has conned elderly Americans out of more than $130,000 dollars. A caller asks the victim to verify basic information such as a telephone number or mailing address, deluding them into providing much more private information such as a Social Security number or routing number. This leads to subsequent unauthorized deductions from the checking account. Never give any personal information to an unsolicited caller. Any legitimate insurance company or Medicare representative will not request personal financial information over the phone. Pressure to "act now" is a red flag. If the caller says it's a "one time offer" or attempts to coerce consumers with a certain deadline, this is a significant red flag. Hang up as soon as the call becomes suspicious. Scambook advises consumers to trust their instincts. If the caller is speaking too fast and refuses to slow down, repeat themselves, or answer questions, it's likely to be a scam. If in doubt, get the caller's information, call the insurance company or Medicare, or research them online. Ask for the caller's name, phone number and extension, and the name of their direct supervisor. Scambook recommends searching for this information on their complaint database or by using Google. If the caller does turn out to be legitimate, seniors can call them back. Contact the healthcare provider and monitor finances. If seniors suspect that a caller was trying to scam them, Scambook suggests calling the healthcare provider directly to pull up a record of the phone call. Additionally, monitor bank accounts and bill statements very closely. The sooner an unauthorized charge is seen, the easier it will be to dispute. For more information please visit Scambook.com. People often ask why chiropractic is growing in popularity. There are many reasons, such as its effectiveness with back pain that will strike 90% of adults sometime in their lives. It’s also a non-drug solution to many ailments and its approach to wellness is growing, too. Indeed, chiropractic is more than a good treatment for back pain when you understand the totality of chiropractic care. One big reason people are turning to chiropractors is the epidemic of back pain that is now the #1 disability in the world. People are increasingly hesitant to use medical treatments that have proven to be often addictive, dangerous, expensive, or simply ineffective. Narcotic painkillers like OxyContin have led to the Hillbilly Heroin addiction epidemic and epidural steroid shots are no more effective than placebo as well as dangerous as we saw in the recent meningitis contamination. Most of all, back surgeries have also been shown to be over-used, disabling, and based on an outdated “bad disc” diagnosis. Indeed, researchers now refer to bad discs as “incidentalomas” since they are incidental to back pain. Others liken bad discs to finding grey hair because it is a natural part of the aging process. In 1994 the US Public Health Service determined only one in 100 back pain cases require surgery. Don’t be fooled into thinking you may need a spine fusion just because you have a few bad discs. In fact, some insurance policies refuse to pay for spine fusion if the only criterion is a bad disc since they are also found in asymptomatic patients. Chiropractors, on the other hand, realize most back pain is mechanical in nature, meaning misaligned spinal joints cause pain and nerve inflammation. This explains why spinal manipulation, decompression, traction, flexibility exercises, inversion tables, or any treatment that restores joint motion works better than drugs, shots, and surgery. Let’s be frank: the era of “wonder drugs” and “heroic surgery” have not panned out considering Americans lead the world in every category of degenerative disease, so more people are turning to chiropractors for a different approach. Aside from help with back pain, chiropractic also offers patients a neurological approach to healing—in other words, the role the nerve system plays in health and disease—a “high-tech” approach that few people understand. People do realize the brain commands and controls all the systems of the body, such as the circulatory, respiratory, digestive, endocrine, etc., but they don’t understand how the spine relates to these organic problems. Rather than dispensing drugs to alter the brain chemistry and system function, chiropractors believe spinal problems may also interfere with spinal nerve function that leads to organ malfunction. The treatment by spinal manipulation of organic disorders has been supported by clinical experience and case reports according to an article in the Annals of Internal Medicine by William Meeker, DC, MPH, and Scott Haldeman, DC PhD, MD, FRCP(C). These include randomized clinical trials for primary dysmenorrhea,, hypertension,, chronic asthma,, enuresis, infantile colic, and premenstrual syndrome, which have been completed with varied results. Chiropractic care does not stimulate or suppress the nervous system as medicine does. Chiropractic normalizes the nervous system. The spinal adjustment, by normalizing the body’s nervous system, restores coordination to the body’s far-reaching system of homeostasis. Some liken adjustments to tuning up a car’s electrical system or rebooting a computer. This phenomenon is called a “spino-visceral reflex.” The public knows this as the “pinched nerve” concept, but new research better describes this problem. This reflex action explains why some patients with organic problems also respond to spinal adjustments. Surveys suggest 7 to 10% of patients with back pain report improvement with other organic problems. One study reported as many as 10% of angina cases are due to the spino-visceral reflex. This approach to health and disease has nothing to do with germs, genetics, diet, or exercise or emotions. It has to do with the tone of your organ tissue caused by nerve reflexes. The change in muscle tone (remember the heart and all organs are muscles, too), in turn, may cause altered function. Another issue is the concept of brain circuitry. At Life University’s department of functional neurology, Dr. Ted Carrick has explored the concept of intra-cranial neuroplasticity, which is the re-routing of nerve circuitry in the brain around problems areas such as tumors or injury. This is similar to the re-routing of arteries around the heart, a natural phenomenon known as anastomosis where the heart forms new arteries around a blockage. He has successfully treated many pro athletes with concussions. Researches in New Zealand also found cranial benefits to neck adjustments done by chiropractors. This remarkable study found that the sensitive measurements in the brain (called sensory evoked potentials) indicated that neck adjustments may “reboot the nervous system” to help it to function better. This is the first time that anyone has used electroencephalograph (EEG) to prove that there are definite changes to the way the brain processes information after chiropractic care. If you’ve never visited a chiropractor, it’s past time to have your spine checked. Sadly, too many patients wait until they have a back attack before they see a chiropractor, which is equivalent to seeing a dentist only after a toothache. I also recommend children visit a chiropractor since 3/5ths of adult problems began in their youth when kids fall off bikes, roller skates, sport injuries, and even cheerleading. Just as you take them to the dentist regularly, I urge you do the same with chiropractors to maintain good spinal health. The aging of the large baby-boom generation will lead to new opportunities for chiropractors, because older adults are more likely to experience musculoskeletal and joint problems and too many people ignore their spine until late in life. Employment of chiropractors is expected to increase by 28 percent from 2010 to 2020, faster than the average for all occupations. Recently CareerCast.com, a career website, ranked 200 jobs from best to worst based on five criteria: physical demands, work environment, income, stress, and hiring outlook. 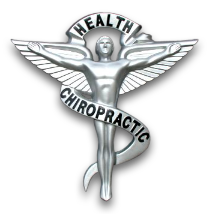 In the 2013 rankings, chiropractors rank 11th, which is an improvement from 19th in the 2012 rankings. As I tell my patients, you just don’t know how good you can feel until you’ve had your spine adjusted by a good chiropractor. JC Smith, MA, DC, is a 33-year practicing chiropractor, author of The Medical War Against Chiropractors, and he maintains a website, Chiropractors for Fair Journalism. Many fitness enthusiasts find it difficult to follow their normal exercise plan while traveling. Unfamiliar environments, tightly-scheduled business meetings, or lack of exercise equipment may hamper even a fitness fanatic's best intentions for staying fit while on the road. Franci Cohen is a personal trainer, certified nutritionist, exercise physiologist and creator of SPIDERBANDS®. When planning your next business trip or vacation, she offers the following tips for putting together an exercise program that travels with you. If you've worked hard to establish a good fitness routine, going on a business trip doesn't have to mean your healthy habits will be derailed. You can keep your momentum and endorphins flowing and maintain your fitness level when traveling. How? For one thing, keep moving. "Drink a minimum of eight 8-ounce glasses of water each day. Airport food, sitting on a plane, jet lag - all contribute to bloat. The best way to fight it is to stay hydrated," says Franci Cohen. Use good body mechanics when you lift your suitcases up to the check-in counter. Lift from your knees, not your back. Be aware of your posture as you carry your bags. Even though you've left behind your daily routine, try to eat three meals a day, maintain a balanced diet and eat plenty of fruit and vegetables. If you're going to eat a high-fat meal, eat a smaller portion, or order an appetizer instead of a main course. Split desserts with a friend. Rest. If your schedule is shot and you're not sleeping enough at night, take cat naps whenever you get the chance. Stretch in the morning and evening, especially if you've been sitting all day. If you will be drinking alcohol at business mixers, drink a lot of water between events. Pack snacks: bananas and apples, yogurt, protein bars. You can make meal replacement shakes in your room. You don't need a blender, just a container with a tight fitting lid, large enough to shake the contents. To find out if your gym reciprocates its membership with a gym where you'll be traveling, log onto the International Physical Fitness Association's Web site, http://www.ipfa.us/, or ask at your home health club before you leave town. 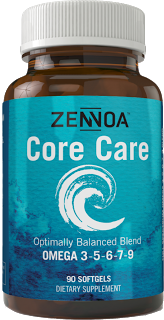 Franci Cohen says that, "Three to five days off from a strength routine can give your muscles a rest. But you wouldn't want to go a week or more without serious exercise and a short respite for your biceps doesn't mean you should ever let your cardio workout go." - Ask your travel agent about hotels that offer fully equipped gyms, pools, and/or other fitness facilities. - Bring along a CD or iPod with your favorite music and work out in the privacy of your hotel room. - Pack a jump rope for a go-anywhere aerobic session. Invest in "travel weights" -inflatable weights that can be filled with water or sand when training, folded and stored while on the road. - Plan active recreation during vacations -check out the local golf course, riding stable, and so on. - When sightseeing, forget the tour bus and walk. You'll not only see more, but you'll be sneaking in some extra activity. For more fitness options, place in your luggage a Resist-A-Tube or any of the home exercise tubing, a stability ball, jump rope or exercise video. ''If you like classes, make your own class in your room,'' offers Franci Cohen. If you work with a personal trainer, ask him or her to design an exercise plan before you leave town. When you're sitting on a plane or in a conference room, take deep breaths occasionally, tighten your stomach muscles, then relax. Travelers need to periodically flex and stretch the hamstrings and hip flexors, the muscle at the upper part of the leg that connects into the pelvis. For women who spend the day in high heels, a walk around the room toe-up, heel-down will stretch the calf muscles. Or, do toe raises by putting the heels on the floor and stepping up onto a telephone book. "Men often complain of being cramped when traveling," states Cohen. "They need to stretch their lower back and legs." She recommends the cat stretch. Get up on your hands and knees, arch your back for 15 seconds, then release. Repeat. Franci Cohen points out that the more comfortable you are with operating fitness machinery at your home gym, the easier it will be to set up unfamiliar equipment when you're on the road. Franci Cohen is a personal trainer, certified nutritionist, exercise physiologist and creator of SPIDERBANDS®, a total-body cardio resistance workout that leverages gravity and your bodyweight with other intense exercise modules such as rebounding, kickboxing and indoor cycling. With over 18 years of experience, Franci has been a mainstay in the fitness and nutrition industries. Franci believes in a tough love approach to fitness and health. "We all have our fitness wake-up call at some point in our lives and it can be a powerful catalyst for change," says Franci. "Unfortunately, many people overcompensate and try to change everything at once, which is a disaster. Making lasting change involves going through stages that aren't necessarily linear. People fluctuate and transition between the stages. Knowing how to move through them can get you where you want to be." Franci devotes much of her time to Fuel Fitness, a specialty fitness center in Brooklyn, NY and continues to teach group fitness classes, train clients and broaden her perspective in all areas of fitness, nutrition and wellness. She designs unique fitness modules and group exercise programs for her clients utilizing the most effective and popular products, tools and exercise equipment available. "Exercise is one of the most important things you can do for your health, but sometimes it's hard to just get motivated. My goal is to keep it fun and interesting by creating out-of-the-box programs that wow my clients with both the innovative nature of the classes, as well as with the rapid results they see in their bodies! My classes are the ultimate playground where fitness meets fun, and nothing is off limits!" Franci has been married for 14 years and currently lives in Brooklyn, NY with her husband and four children. 1. Blend in a blender all the ingredients and one half of banana until smooth. minutes, or until bubbles form on the edges. 4. Flip and then cook for another 2-3 minutes. 5. Remove from skillet and top with fresh fruit or 1 tbsp. natural peanut butter and sliced banana. Makes about 5-7 medium size pancakes. Our kids really loved this breakfast. They ate it with apple butter and maple syrup. We also ate them with fried eggs. These are a great hardy breakfast that are healthy. 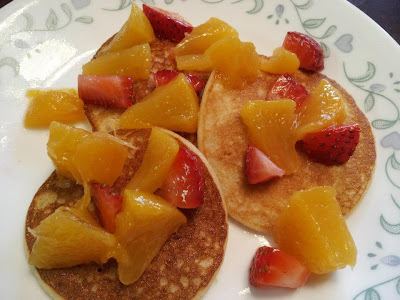 NOTE: You may also use non gluten-free oats to make these pancakes. Just remember that if not using the gluten-free those on a gluten-free diet can't eat them.